Cara is a Feed Sales and Technical Rep for Cargill Animal Nutrition. Their brands of horse feed include Southern States, Legends and ProElite Feeds. Even though his official job title is futures broker, Boyd Brooks, a Cynthiana native, says he is truly a risk management specialist who helps farmers turn a profit in an industry of financial uncertainty. Taylor and Zac Jones brought in their first harvest with just 278 tomato plants. Their grandfather had given them a couple rows in his garden and the pair had been experimenting with the idea of starting their own farm. Carrie Knott, a Daviess county native, thought after high school she would get an associate’s degree and enter the workforce. A bachelor’s degree, master’s degree and Ph.D later, she is working as an extension agronomist for the University of Kentucky. For most folks, a career in government comes by chance rather than pursuit, and that is exactly how Kimberly McDaniel became an agricultural statistician with the National Agricultural Statistics Service 28 years ago. She works out of the Eastern Mountain Regional Field Office in Louisville, Ky.
Nestled in Hodgenville, Kentucky sits Fresh Start Farms, owned and operated by Ryan Bivens, a first-generation farmer. Lindie Huffman’s mantra is “People don’t care how much you know, until they know how much you care,” and building relationships is just one of this Jane-of-all-trade’s exceptional talents. Joe Hildesheim has been with Kroger for 39 years and managing the meat and seafood merchandising of nearly 100 retail stores for the past six years. He got his start at 18 as a bagger, and has worked his way up through dedication, education, company management programs, and great people skills. Carrie Pendleton likes structure and rules, which makes her job with the Kentucky Department of Agriculture Grain Regulation Branch a perfect fit. Amanda Robertson has a job title that only three other people in the nation can claim. What is more surprising is the fact that she studied to become a teacher. My good friend Brent Burchett serves as a bridge between the business of agriculture and government. While becoming a “bureaucrat” was not really what he was after, I attest that he has a passion for serving Kentucky’s farmers. It was obvious that Becky Kinder and the Kentucky Soybean Board were a great fit considering she interned with them three summers in a row. Becky became their full-time education director in 2004. Being outside and working with people appealed to Sean Godbold, an Oneida, Ky. native, and when looking at potential careers, he figured that the title of forester would provide that for him. While he spends a lot of time outdoors, it’s his biology and conservation knowledge that makes him a respected and awarded tree inspector. Lindsay Phillips is currently the Country Home Loan Officer in the Maysville office. She started her career with Farm Credit Mid-America as a Financial Services Officer (FSO) two and a half years ago. Prior to her current role, Lindsay was a loan officer for the Buffalo Trace Area Development District and worked at a local bank.  Kyle Kelly, an Owen County native, is the director of government affairs and association services for the Agribusiness Association of Kentucky and the Kentucky Propane Gas Association. These are affiliate organizations of the Kentucky Retail Federation, headquartered in Frankfort. I will admit that this edition’s profile is somewhat selfish. Not because I want to toot my own horn, but subjects willing to be interviewed at 1 a.m. are non-existent. Late nights, early mornings and a lot of varied tasks rule my world, but I love every minute. Learn more about agriculture careers at https://www.agexplorer.com/.